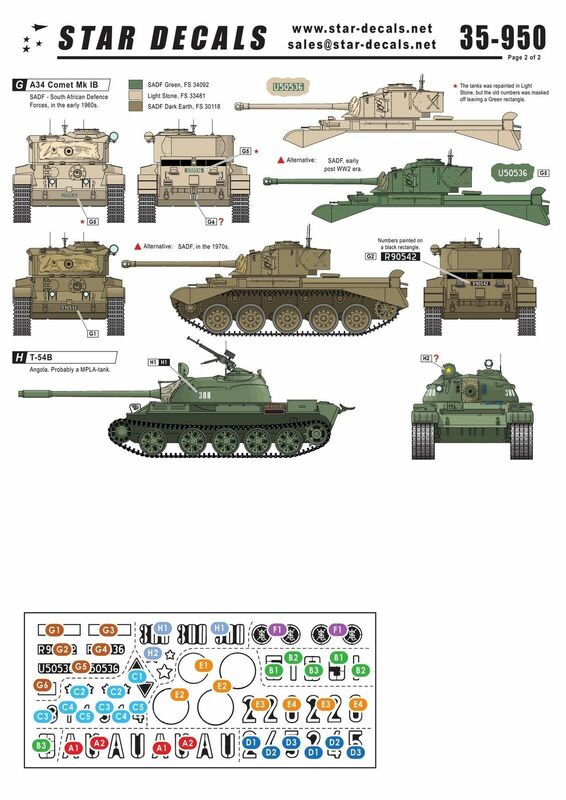 Can anyone assist me with photos of the A34 Comet tank as used by the SADF. I am looking for a walk round set including rear panels and info on which model version they were. Also colour schemes and markings used in South Africa. My reason for this request is I wish to build a 1/35 model of one as used in South Africa between 1954 - 1968, but as I live in England photos and references are hard to find to make an accurate model. I have managed to find approx 5 photos on the net, but nothing showing all the detail.